Place the dates in a small bowl and cover with boiling water.Set aside for 10 minutes to soak. Drain and place in a blender. Add the raspberries, blackberries, frozen blueberries, bananas, water and coconut cream. Blend until smooth. Add the ice and blend until smooth. 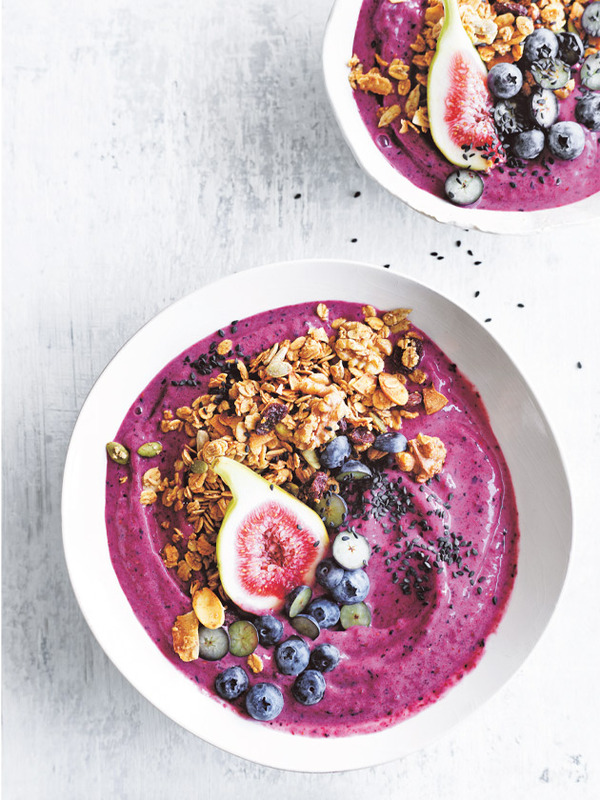 Divide the smoothie mixture between bowls and top with the granola, fig and fresh blueberries. Sprinkle with sesame seeds to serve. Serves 4.